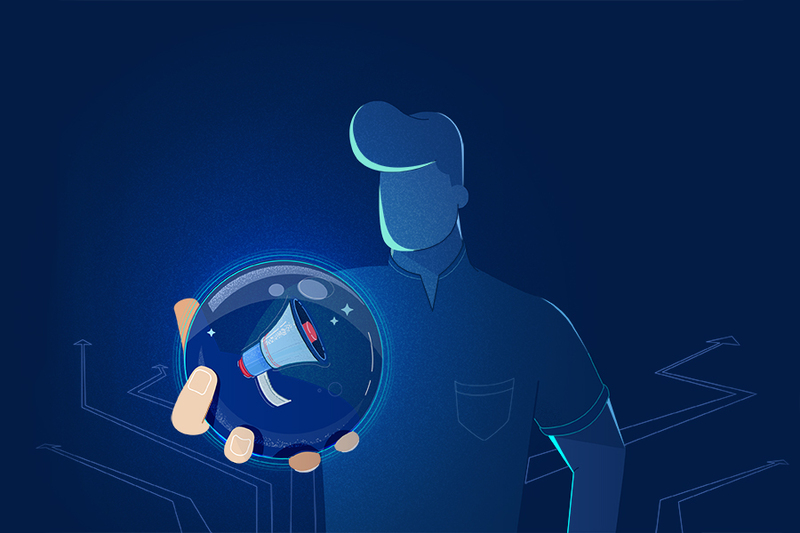 13 Marketing Trends: What to Expect in 2019? The marketing industry is one of the fast-changing ones and if you want to keep your business relevant you need to follow the marketing trends and adjust your strategies. Consumer behavior is changing, so you need to be prepared to find a new approach to getting the most out of your marketing efforts. To do so, pay close attention to the previous year’s patterns and the ones which have a great potential of becoming a trend. It’s time to think about what strategies to implement in 2019. Do you want to stick to the same tested strategy? Or, maybe you need something fresh and cost-effective to reach your target audience. What are 2019 marketing trends? It’s hard to tell now for sure, but the industry representatives tried to make their predictions of what we can expect in 2019. Check them out below. It’s no surprise that video content is in trend. Besides, more and more companies have started using video content in their marketing campaigns. 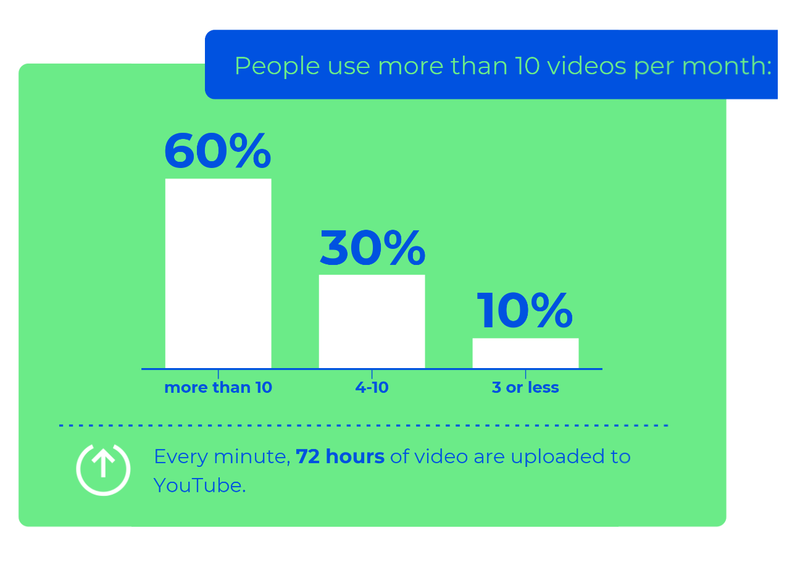 According to Renderforest survey, 60% of people use more than 10 videos per month. To create more unusual experiences for the consumers, companies started to implement AR and VR. If using VR can be costly, AR is more accessible and can be easily used by the marketers. As for the live videos, companies go live on different platforms to increase the engagement on their pages. "There are a couple of trends marketers should have top-of-mind in 2019: live video and augmented reality (AR). Businesses will be creating a lot of live video content on their social media platforms - it’s becoming an integral feature of Twitter, Instagram, and more. Augmented reality is becoming less sci-fi with every passing year. Look at a platform like Shopify, where a number of e-commerce stores have implemented AR.” - said Henry Brown, the Digital Marketing Manager at Rewind. Videos are not new to the industry, moreover, they’ve become an inseparable part of it. 52% of marketing professionals worldwide name video as the type of content with the best ROI. What can we expect from videos? Like we’ve mentioned above, live videos and AR have the potential to take over the social platforms. Marketers also claim that vertical videos and video storytelling will continue keeping their positions. So, maybe you should be armed with creative video templates for your marketing campaigns. “First, the heavy use of short videos with subtitles will become more prevalent and will begin to edge out text-only posts on the majority of social media platforms. Video is easier to consume and is more effective at communicating within social media. Second, video shot in portrait mode (tall) will become standard. 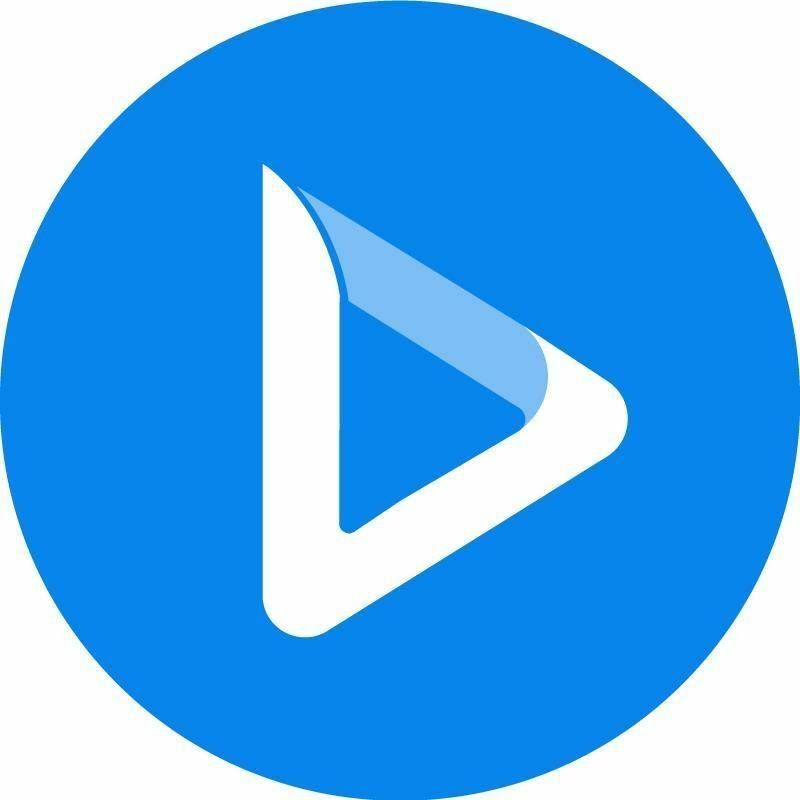 As mobile viewership continues to dominate over desktops and laptops, video will continue to transform to the devices that the majority of people use the majority of the time (phones).” - stated Erik J. Olson, the Founder & CEO of Array Digital. Many digital marketers underestimate the power of offline or traditional marketing. Maybe it’s time to reconsider it. Many marketers think that in 2019 some of the traditional marketing techniques with new elements will be in trend. 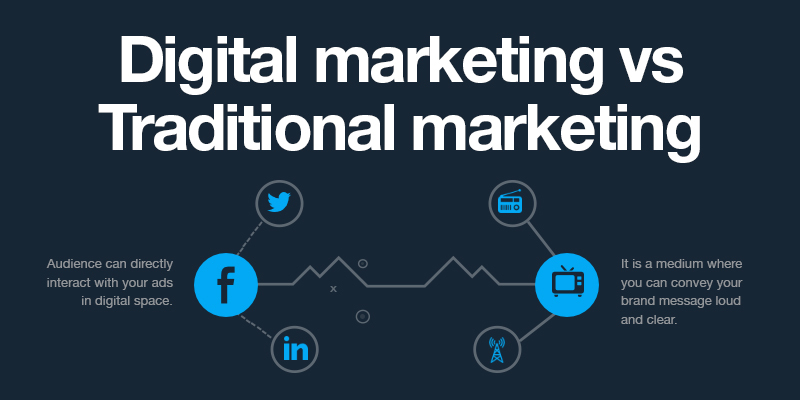 “A strong trend we see is the continued breakdown between digital and traditional campaigns. Brands are accepting that consumers are engaged through multiple touchpoints—the only way to really connect is to surround them with messaging. 2019’s most winning campaigns will be highly personalized, multi-channel and consumer-centric.” - noted Kathy Hermann, the Digital Product Guru at d3 Specialists. It’s a fact that people trust other people more than brands. Besides, 72% of customers don't take action until they have read reviews. This is the reason why many professionals think that getting and managing testimonials from customers will become a necessity in 2019. To make this process more effortless, some professionals use online form builders to collect the testimonials and download them in PDF or other file formats to share them. "The trend towards consumers placing more trust in the voice of other consumers through reading reviews as opposed to brands’ advertising messages will be increasingly prevalent in 2019. In fact, many studies have shown that over 90% of all customers check online reviews for a company before they make a purchase. Digital Marketers will need to respond to this trend by implementing strategies aimed at growing the number of positive reviews for their companies across every platform, including social media, SERPS, and third party sites. ” - said Brenda Ledwith from Living Online. One of the latest trends in the industry is incorporating AI into business and marketing strategies. Predictive analytics is used by many companies to improve the performance of their campaigns. With the help of Artificial Intelligence and statistics, it’s possible to analyze the existing data, find patterns and make predictions. “AI tools and techniques have become more and more prevalent across a variety of areas relevant to today's marketing professional. In their current form, a lot of emphasis has been put on measurement, analysis, and advertising targeting. What we will begin to see trend however are AI tools that allow a better understanding of the day to day changes and trends found across user behaviors, customer service needs and how to better target the very quickly changing needs and habits of consumers.” - noted Zachary Weiner, the CEO of Emerging Insider Communications. Imitation, plagiarism, and fake profiles won’t make people trust your company and become your customers. Being authentic and showing your company values is what builds trust. Instead of going after short-term and unreliable solutions, create a trustworthy brand that will attract more customers. “In light of fake news and corporate scandals, consumers want brands they can trust. Showcasing your brand’s authenticity starts by making sure you have a clear picture of your brand. Ask yourself, what do customers tell their friends about it? How would employees describe it? Once you have a clear picture of your business, share this image publicly and as accurately as possible. Show them the real people behind your brand through images and videos of your team.” - said Emily Sidley, the Senior Director of Publicity at Three Girls Media. Personalization is what helps companies to build relationships with their customers and create targeted campaigns. There are so many ways that you can use it including more accurate recommendations and better promotional content. “One of the digital marketing trends that offer great potential, is multichannel behavior-based personalization. Even when using automated messages, it’s now important to personalize your content depending on the actions of your visitors. You can, for example, use pop-ups, chatbots, emails, or remarketing; all triggered by a certain action the user performed either on your website, software or app.” - mentioned Marie Lamonde, the Content Marketing Specialist at DashThis. “I believe more businesses will leverage AI-powered solutions to meet the demand of consumers for personalization. 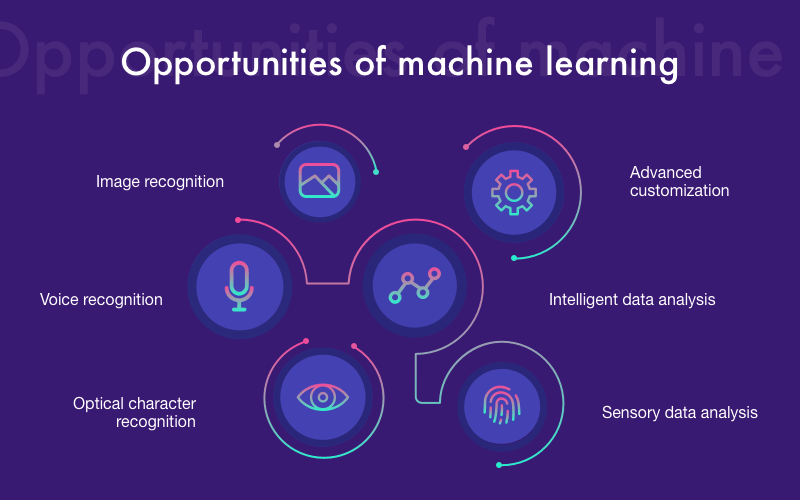 Brands and marketers are more likely to use technologies such as predictive analysis, machine learning, and natural language processing to boost customer satisfaction and build customer loyalty. More than anyone else, e-commerce brands need to adopt these advanced technologies to deliver personalized product recommendations, offers, and customer service.” - said Shane Barker, a Digital Strategist at Shane Barker. One of the social media trends is selling through social platforms. More and more companies will realize the potential of social media in terms of generating sales and will adjust their strategies accordingly. “The counts of customers researching potential purchases on social networks are constantly growing. Due to this, 2019 may feature a short leap to buying directly on Facebook, Pinterest, or Instagram. Our mobile devices become even more powerful what means more mobile traffic and shopping with a phone.” - thinks Dana Kachan from Rioks. Google, Facebook, and many other companies actively use AI for face and object recognition. This is something that can change the things as they are and bring them to a new level. With these functions, companies, especially e-commerce, will be able to reach their target audience and increase sales through more targeted campaigns. “Many companies have been using it for years now especially Facebook. Many sites use facial recognition to identify you in a photo that's uploaded to a database but this technology is advancing so fast that now it not only recognizes you, it recognizes everything around you in the picture or video. It recognizes what articles of clothing you and your friends are wearing while also scanning the background and identifying what's in it, for example, your big screen TV, your gaming console, your furniture, even your cat! This type of data is what makes marketing campaigns so powerful and accurate if used correctly to show relevant ads to consumers, therefore, driving your ROI through the roof if done correctly.” - said the CEO & Founder of Lovrecich Media Christian Lovrecich. Content Marketing has always been an important part of any marketing campaign. This is why many marketers think that content will keep its positions in 2019. It’s the best way to educate and inform your audience. 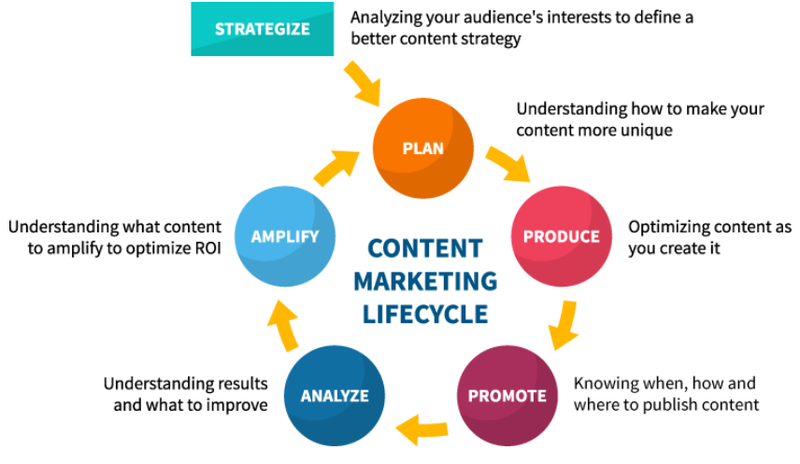 Besides, if you develop an effective content strategy, it will not only help to build relationships with your audience but will also help to increase your sales. The collaboration between brands has always been a thing in the industry. With the help of the internet, companies got more opportunities for collaborative campaigns and co-branding. In 2019, companies will use more creative strategies through collaboration. Many companies concentrate on increasing their sales at all costs. But they forget that having an established brand is the best way to promote their products or services and get loyal customers. So, this is why some marketers think that more and more companies will concentrate on creating a brand strategy. 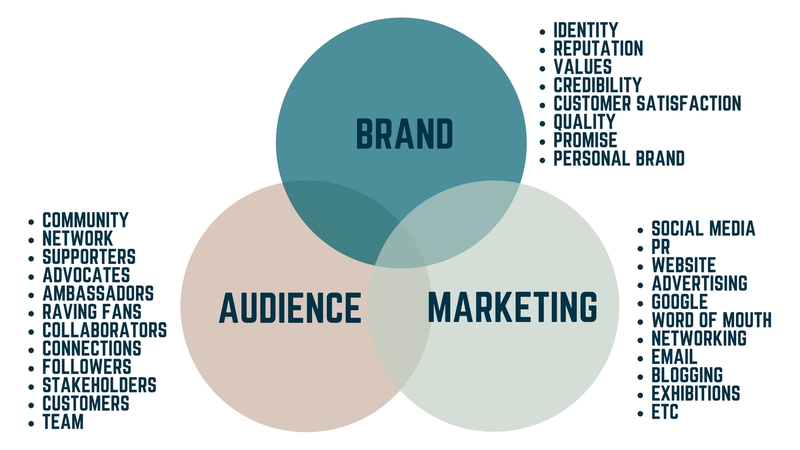 “Brand Building will be a popular trend in 2019. Marketers doing paid advertising specifically have been so focused on ROI, that they’ve forgotten that marketing is about creating a demand for a product, as well as creating brand loyalty too. 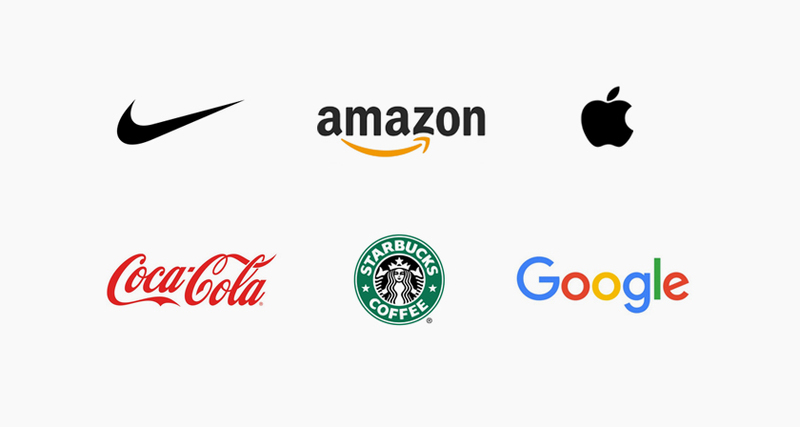 The uprising of Amazon’s influence will make brand building even more important. If you sell your products on Amazon, it's easy for Amazon's brand to replace yours in the mind of the people buying your product. This isn’t particularly a reason not to have your products on Amazon, it has an enormous amount of valuable reach.” - stated Jeff Allen, the President of Hanapin Marketing. 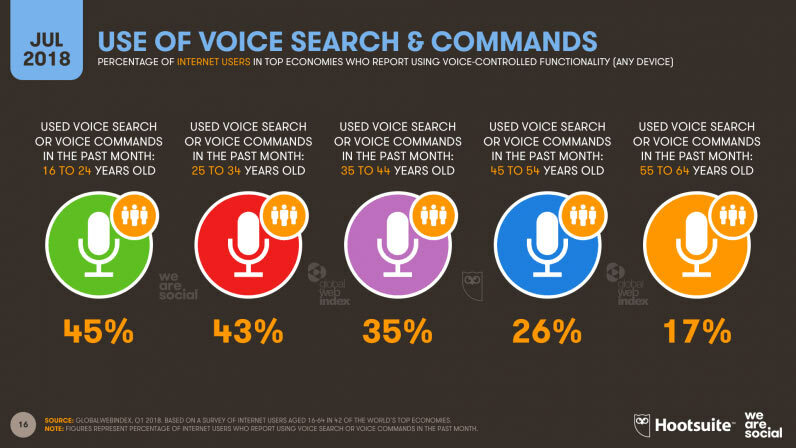 41% of adults use voice search every day (Google). The question is whether your website is optimized for voice search or not. Many marketers think that voice search optimization, especially for mobile devices, will be crucial in 2019. “From smart speakers, smart controls for homes, and mobile phone voice search apps, more people than ever are searching solely through mobile command. In 2019 we’ll continue to see the number of voice searches performed rise. This will reshape SEO, as search is shifting to conversational and long-tail queries.” - thinks Alex Membrillo, the CEO of Cardinal Digital Marketing. “For me, it comes down to voice search, personalization, and mobile. Web users are now using voice search more and more on their mobile devices and expecting a fantastic personalized experience when interacting with brands and their websites. What this means for marketers and website owners is that we need to create content focused on user's questions and long tail searches, while ensuring our website is responsive to their devices and is also taking user's behaviors into consideration for a more personalized experience.” - Mentioned Patrick Delehanty from Marcel Digital. With these marketing trend predictions, you have a chance to adjust your strategies depending on your industry and target audience for 2019. The marketing industry is changing day ba day. You never know what new features and technologies may appear one day. Always stay up to date and follow the trends that will help you take your marketing efforts to a new level. 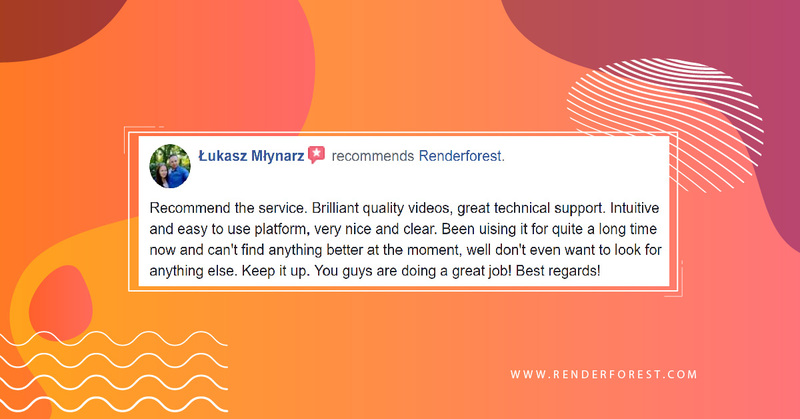 If you wonder where to find customizable video templates, you can do it here on Renderforest. Create animated videos, whiteboard animations, presentations, intros, and slideshows for your marketing campaigns.